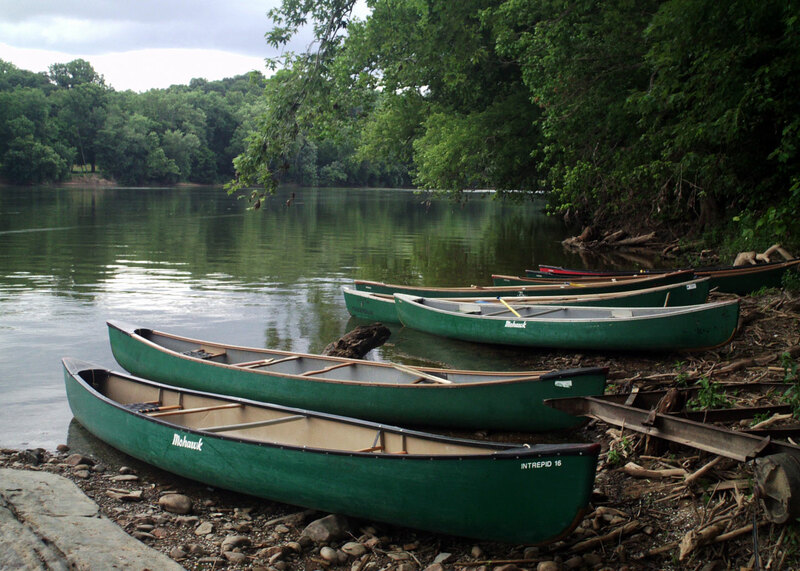 Adventure campers will make new friends, grow in community through team-building, hike through beautiful woodlands, perform in a talent show, visit historic Harper’s Ferry, WV, and paddle down the Potomac River. Middle and High School campers will soar on our new 10-traverse aerial park while all ages will have a chance to enjoy the zipline and climbing tower. 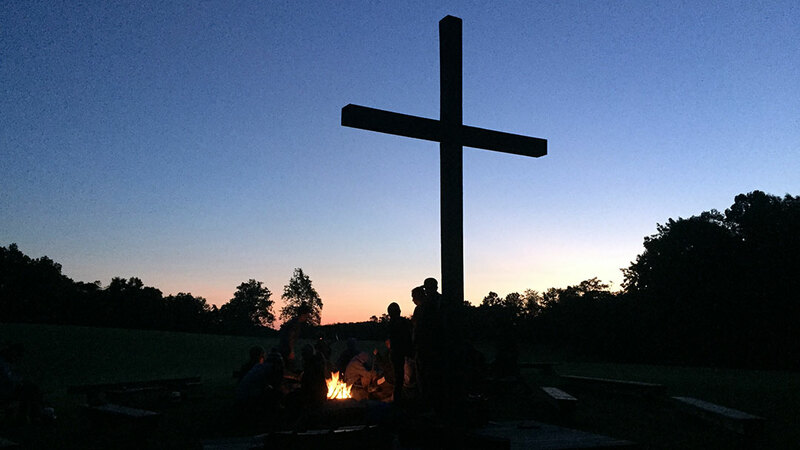 Traditional camp activities like swimming, arts and crafts, archery, group games, cookouts and campfires add to the fun while Bible study and worship help campers develop a relationship with Christ in a safe and encouraging environment. Campers may sleep out at Campfire Hill one night and will enjoy lounging in our new hammock pods. All Adventure Elementary campers will sleep in Lodges. Middle School campers will be in one of our indoor, climate-controlled housing options. 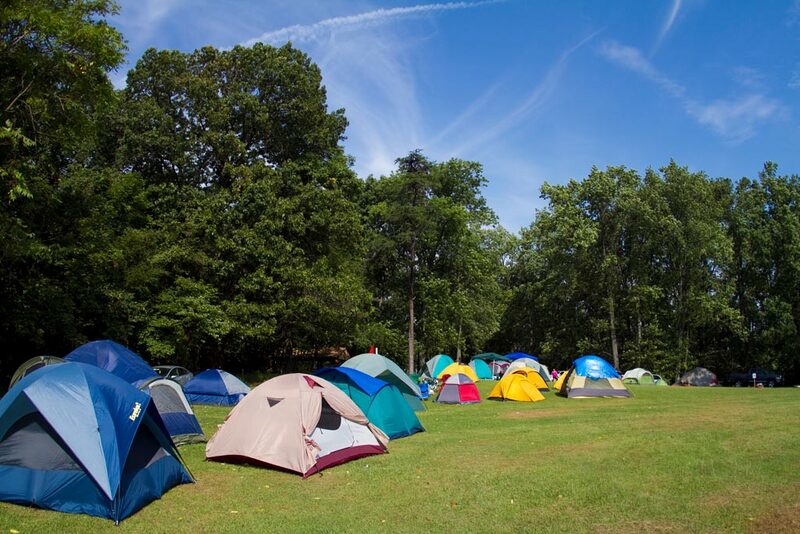 High School adventure campers will be able to choose between Shelterhouses and tents while they enjoy cookouts, star gazing and evening campfires. June 30-July 4 ($365) – Grades 3-5, 6-8 – Sunday – Thursday, with check out on July 4th at 10am. American Sign Language Camp features ASL immersion opportunities for signers at any level, from beginners to fluent signers. Campers will also participate in swimming, hiking, arts and crafts, and more while learning about God’s love through daily religious education lessons and chapel. Some grade levels overlap so parents may choose which level is best for their camper. Deaf and hearing campers in the High School Deaf/ASL camp will share lodging and all daily activities. They will live together in the Shelterhouses, which are more rustic housing, where they will enjoy dinner cookouts, star gazing, and evening campfires. Exclusively for middle school campers, this camp will provide dynamic worship, enriching fellowship and awesome adventures. Campers will be able to choose their own activities to create a camp experience that will make it the “best week ever”. In the midst of the daily adventures, campers will have small group discussions and large group worship to focus on meeting their spiritual needs. The leadership track of BWE is a selective program for campers who show interest and ability in Christian leadership. Leadership campers will work closely with the Best Week Ever directors and counselors to plan and lead a variety of activities for the campers in the Best Week Ever program. This is a great opportunity to get hands on leadership experience in preparation for other leadership roles in the church or camp setting. Before registering for this program, please contact Pastor Chris Bishop, chris@faithpointum.org, for an application as there are a limited number of positions. If you register without this, you might be asked to choose a different program. Applications will be reviewed by the Best Week Ever leadership team before final confirmation is given. Come explore many of Manidokan’s local waterways from a canoe. Daily canoe trips will include paddle instruction, reading the river, partner communication, and one overnight paddle with a camp-out. A high adventure day, team-building on the low ropes course, cookouts and a trip to Harper’s Ferry will round out the week. Campers will stay in tents near the Forest Glen area. This camp will be led by Travis Creamer, returning volunteer with 6 years experience as Manidokan’s waterfront director. Our Counselor-in-Training (CIT) program has been redesigned! This is for youth who love working with younger children, living in a camp setting, and may one day want to be on summer staff! Our CITs will learn about spiritual gifts and servant leadership, camp policies and camper needs. They will also enjoy low ropes, aerial park and zipline. CITs will be mentored through leading younger campers. Youth from this week may return in the role of CIT to help with campers during a second week of camp. *Note: the fee offsets the cost of meals during training and the week of camp in addition to paying for high adventure activities. Camp will be led by Pastor Mike Beiber. Get ready for the most fun week of the summer! Campers will participate in swimming, hiking, arts and crafts, and more, while they learn about God’s love through daily religious education lessons and chapel. Deaf Camp is designed for Deaf and hard-of-hearing campers who communicate primarily in American Sign Language. Some grade levels overlap so parents may choose which level is best for their camper. Deaf and hearing campers in the High School Deaf/ASL Camp will share lodging and all daily activities. They will live together in the Shelterhouses, a more rustic housing, where they will enjoy dinner cookouts, star gazing and evening campfires. Campers will have the opportunity to “explore” all Manidokan has to offer and learn more about the gifts and blessings God has given them. Many of our adventures include river trips, low ropes challenges, and beautiful hikes including Sawmill Creek and a visit to Harper’s Ferry along with traditional activities like campfires, s’mores, archery, crafts, gaga ball, 9 square, a talent show, and our new hammock pods! Middle and High School campers will soar on our new 10-traverse aerial park while all ages will have a chance to enjoy the zipline and climbing tower. Camper will build relationships with both cabin groups and daytime small groups. Engaging worship is planned for the large group. All Explorer campers live in cabins or lodges. This week in partnership with Mt. Carmel UMC, Frederick and Middletown UMC. Campers will learn basic horsemanship, including grooming, saddling, and bridling, as well as basic riding skills. Trail rides will take place on scenic mountainous trails in the area. Campers will also enjoy traditional camp activities including a river trip, swimming, hiking, low ropes, zipline, campfires, Bible study and worship. 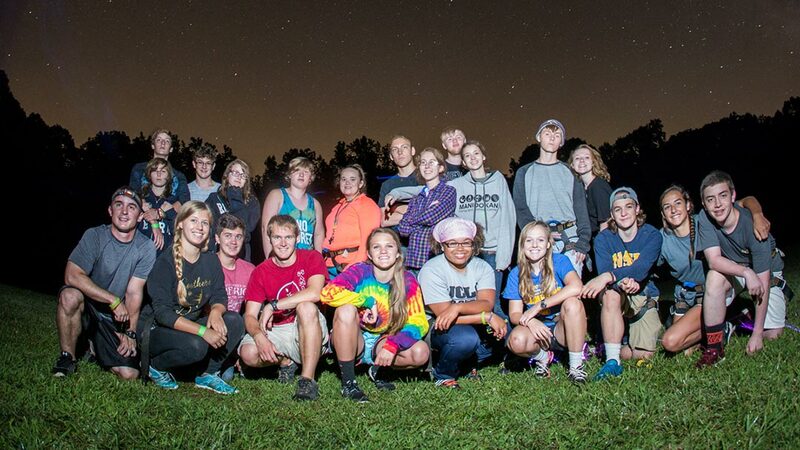 This camp is for teens who love to play in the dark. We will play into the night by zip-lining with headlamps and night hiking by starlight. Then we’ll turn life around and sleep during the day, like other nocturnal animals we will learn from. In addition to Bible Study, we will have some solo fireside or candlelight worship as well as activities with all of camp, like Mission Night and Talent Show! We expect to include an offsite guided trip to a cave and midnight bowing. This group of campers will likely sleep in cabins. Come join us for this unique opportunity to grow as a Christian Leader in your home, your church, your school and your community! As we study the Gospel of John and focus on Jesus as our role model for leadership, we will spend the week learning what it means to be a servant leader. What did Jesus mean when he said that the greatest commandment is to “Love the Lord with all your heart, soul and mind” and “you shall love your neighbor as yourself”? We will spend our week reaching out to our neighbors with service, compassion and justice, all while growing in our love of God and desire to lead like Jesus. Hands on projects and guest speakers will be an exciting part of the program. Camp activities like low ropes, zipline, and the new aerial park will be a spring board for learning, living and leading in Christian community. With just 3 nights away from home, Mini Camp is the perfect opportunity for campers who are not quite ready for a full week, but still want a taste of what camp has to offer. Hiking, rafting, crafts, s’more’s, worship, and more await campers of this partial week experience. Take your Camp Manidokan experience to the NEXT LEVEL! Rustic campers will sleep in tents or under the stars, hike, cook campfire meals, build strong relationships, canoe and camp overnight on the C&O Canal, and learn outdoor living skills! All this in addition to low ropes team-building, an aerial park 35-feet in the air, and a nearly 900 ft. zipline! Who could ask for more? This camp is designed for kids with adventurous spirits and open minds. Come enjoy the great outdoors at Camp Manidokan! July 7-12 – Grades 6-8 ($465) – Sunday – Friday, full week of camp.